I’m sure with the impending Holiday season you’re thinking about ways to make money from home. Or maybe you’ve thought about starting your own online or home-based business but you’re waiting for the Holiday rush to pass because of money reasons (been there, done that too). I’ve got great news for you my friend! You can still make your dream come true. 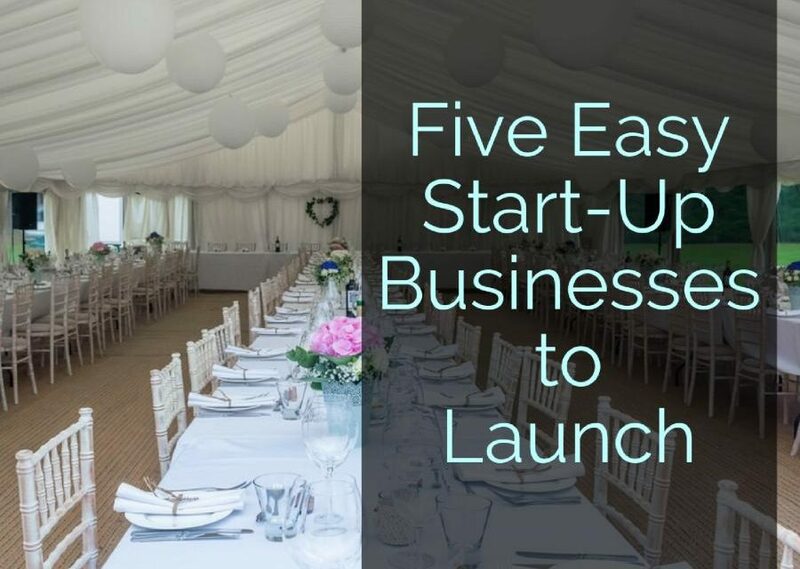 I’m here to share with you these easy start-up businesses to launch just in time for the holidays! You know there are going to be plenty of Holiday parties and the hostess is not going to have to time clean up before the party or afterward for that matter. This is the perfect time to launch your cleaning business and get some clients. All it takes is some starter cleaning products you can get at your local wholesale club and a social media page like Facebook to get it off the ground. Don’t forget your coupons. You can save money on start-up costs by using them. And if you can claim expenses on your income tax return, save those receipts! You don’t even have to wait until December for this one. Some folks have already begun their Christmas shopping. And just like the hostess with the mostess who won’t have time for cleaning up after her parties, she might not have time to wrap presents either and that’s where you come in. All it takes is some cool gift wrapping paper, a great pair of scissors, tape, and your ideas for creating a beautifully wrapped present so cool no one will want to open it! Yes, I’m going there again with social media…just post an update on Facebook, Twitter or Pinterest about what you’ve got to offer. Then ask your friends and family to spread the word on their feeds to reach more potential customers. You can’t have a Christmas or New Year’s Eve party without taking pictures of all the festivities. Another home-based business where you can gain clients during the holidays is freelance photography. You can capture those memories at reasonable rates to give the competition a run for their money. The hostess is going to be too busy preparing for the party and I’m sure she would love a caterer who can cook great food and who has great rates! If you can cook up some dishes like Tamales, a popular Hispanic dish, you’ve got yourself a head start. Last year, we ordered 10 dozen tamales for our family party. At $9.50 a dozen that’s $95. When I went to pick them up, there were 5 more people there waiting for big orders. Let’s say we were all there to pick up 10 dozen, that’s $570 right there, not to mention other orders she had to fill. Tell me that doesn’t sound like good money! Some folks don’t like shopping or dealing with crowds during the holidays. Offer your personal shopping services by posting them on your social media networks and asking your friends and family to share your services with everyone they know. Even if you wouldn’t hire someone to do your shopping, it doesn’t mean that others won’t. In fact many people do hire personal shoppers, especially for Christmas shopping.